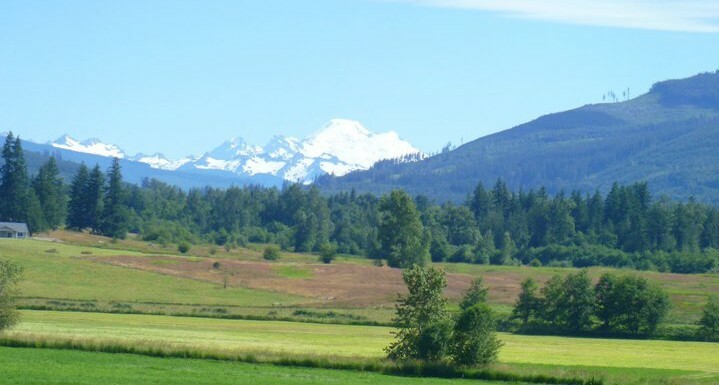 Skagit has tons to offer road cyclists with quiet country roads, a nice mix of flat terrain and rolling climbs, Cascade mountain views, and plenty of lakes, rivers and forests. 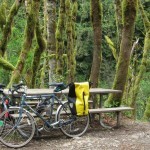 Find more bicycle adventures on Washington Bikes’ Where to Ride page. Skagit County is famous for its colorful tulips and vast farmland. That alone probably makes it a worthy riding destination, but with quiet country roads, a nice mix of flat terrain and rolling climbs, Cascade mountain views, and plenty of lakes, rivers and forests, Skagit has tons to offer road cyclists. It’s no wonder the ALS Association’s Evergreen Chapter used to host their two-day fundraiser ride on the roads around Mt. Vernon each year. The fundraiser is now held in Snohomish County, but the roads are still out there for anyone to enjoy. The Land O’ Lakes loop was traditionally day two of the ALS ride weekend. It takes you counterclockwise to the east of Mt. Vernon and has a little bit of everything that makes riding in Skagit so great. 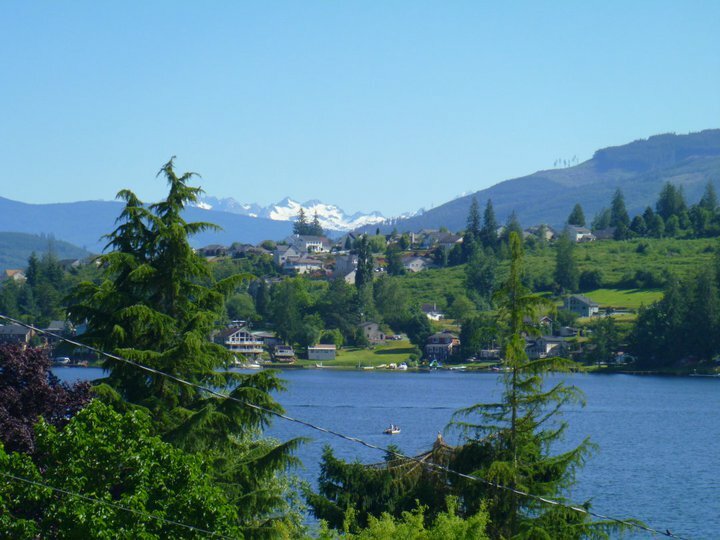 You’ll pass by a number of lakes, ride along farms on flat roads, parallel the Skagit River for a bit, and do just enough climbing to keep you honest. The ride starts in downtown Mt. Vernon. Fuel up with coffee and a pastry at Ristretto Coffee on 1st Street, or grab some snacks at the ever-wonderful Skagit Valley Food Coop just a block off your route. As is often the case with urban riding, when you start you’ll have to do a bit of a zig-zag to get out of town. Head north on 1st, take your first right on Montgomery, then your next left onto 2nd. You’ll climb up a gentle bridge grade to get over I-5. After you cross the bridge, take a right on Fulton St then your second left on 6th Ave. When 6th Ts into Division hang another left. After .3 miles on Division take a right on 13th Ave. Stay on 13th for 1 mile. Take a right on Blackburn Rd then take your second left onto Cedardale Rd. (You’re almost out of town!). Cedardale parallels the freeway and is noisy, but it’s nice and flat and passes along a few farms. After 1.6 miles, take a left onto Hickox Rd then your immediate next right onto Burkland Rd. When Burkland Ts into Johnson Rd at mile 6 take a Right then take a Left to get back on Cedardale. When you reach WA-534 at mile 7.6, take a left. This is where the ride really starts getting great. 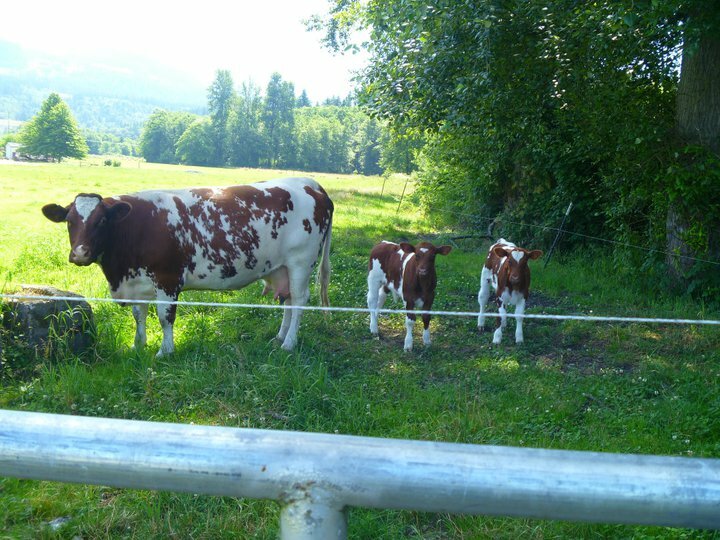 You’ll climb up into the forested foothills for a few miles and quickly get a taste of rural Skagit County. You’ll be sweating uphill for a few miles, but you’ll be rewarded with a fun descent at Lake McMurray. 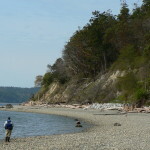 After 5 miles on WA 534, take a left on WA 9 (mile 12.6). Though it is a state highway, there isn’t much traffic to worry about. 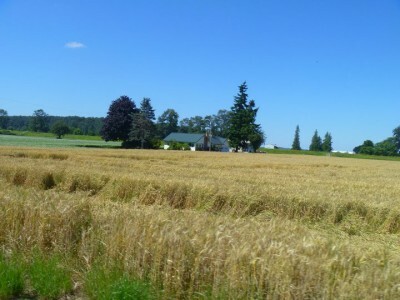 This stretch of WA 9 has lots of fun rolling climbs, nice views of the lake, and opens up back up into lovely farmland. After 3.6 miles take a left onto Big Lake Blvd (mile 16.2). As the name indicates, Big Lake Blvd takes you along the western shore of Big Lake and into the small, unincorporated community of the same name. Stay on Big Lake Blvd for 4.4 miles. Take a left to get back on WA 9. Stay on WA 9 for 2 miles then hang a right onto Knapp Rd. You’ll ascend a punchy little climb up Knapp, then hang a left onto Baker Heights Rd. After .7 miles on Baker, take a right on Gunderson. Stay on Gunderson as it curves 90 degrees around a bend. There are a few more punchy rollers before Gunderson rewards you with a nice long downhill. You’ll ride for 3.5 miles past more farms and forest and continue straight as Gunderson becomes Beaver Lake Rd where the road continues to point down hill for a while. At mile 29.2 take a hard right to stay on Beaver Lake. After another 1.8 miles take a sharp left to stay on Beaver Lake again. Ride 1.3 miles then take a right onto Front St.
Front St Ts into WA 9. Hang a right into the small town of Clear Lake. If you need to stop for re-supplies, the Clear Lake Market will be on your right a few blocks up. As you reach the edge of town (all several blocks of it) the road Ys. Stay right on Front St then take a right again on Old Day Creek Rd. Old Day Creek leads you straight into the biggest climb of the ride. Three miles long and nearly 600 feet of elevation gain, it’s definitely a bit of a grunt. 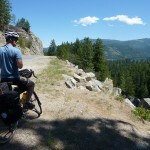 But put your head down, keep the pedals turning, and rest easy knowing the ride is nearly flat all the way back to Mt. Vernon once you’re up and over this hill. Once you’ve crested the hill, enjoy the descent back off the other side all the way to the Skagit Hwy at mile 38. When you reach Skagit Hwy, take a left. It will take you along the Skagit River for 5.5 miles before curving you back onto WA 9. When you reach Hwy 9 take a right and head back towards Clear Lake. You’ll briefly backtrack through town before taking a right on Mud Lake Rd at mile 44.8. Stay on this for 1.8 miles then take a right on Swan Rd. Swan Ts into Francis Rd at 48.4. Take a left. Continue straight on Laventure Rd at 49.2 then take a right on Fir St at 50.4. You’re almost done! Continue on Fir for 1 mile then take a left onto 4th St. This will take you back across I-5 and down the hill into downtown Mt. Vernon where there a bevy of places to grab a post-ride meal. If, like many cyclists, you enjoy a post-ride pint, the Skagit River Brewery is waiting for you at the corner of 3rd and Montgomery. 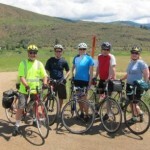 This article was posted in Adventure, Economic Impact, Events, Rides, Rural, Skagit County, Tourism, Travel. Bookmark the permalink. Follow comments with the RSS feed for this post. Both comments and trackbacks are closed. Unfortunately WSDOT just closed Highway 9 (NO through traffic) north of Lake McMurray for 6 weeks to replace a culvert. It is a fish enhancement project Put this on your ride ticket for the fall!